"We were happy to find no difference in the effectiveness, performance ratings, or promotions for individuals and teams whose work requires collaboration with colleagues around the world versus Googlers who spend most of their day to day working with colleagues in the same office,"
Thanks so much to Brannon Poe of Poe Group Advisors for talking with me about CPA firm management and for featuring our conversation on his recent podcast. 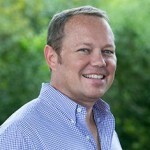 Brannon began facilitating successful accounting practice transitions in 2003 and pioneered a consulting-based approach to transitioning accounting firms, which culminated in Poe Group Advisors’ unique process – The Seamless Succession™. I know it is a busy week but bookmark the podcast and listen while you are commuting or next week, when you are recuperating from tax season. Yesterday I was clever, so I changed the world. Today I am wise, so I am changing myself. I inherited the firm from a sole proprietor. The clients are just not used to paying what would be a normal fee. I am working so many hours and need to increase my fees. But, I am afraid I will lose too many clients. I ask, “How do you describe your fees to clients?” What I usually discover is that the CPAs who have such a great fear of losing clients are not actually talking about fees WITH the client, at all. I also learn that CPAs who charge an appropriate fee don’t talk with clients about the fees either. Read more about each of these points on Sarah’s blog post. Take the time to teach your entire team how to talk about fees with clients. Did you know that Aprio is the only top 100 firm with a non-traditional name? Read more about Aprio and why they changed their name here. I have known people at the firm for more than 20 years and have always been impressed with their forward-thinking actions. Look over their homepage and notice how they focus on “advisory” first. They are an “advisory, assurance, tax and private client services” firm. Under “About Aprio” they say: As a premier, CPA-led business advisory firm.. etc. How are you positioning your firm? If you call yourself advisors more often maybe you will become more advisory focused. The larger CPA firms have already evolved to being CPA-led firms meaning a large percentage of their employees are not CPAs. How are you planning for that evolution? Have you ever thought about it? I have observed that most firms have fairly boring taglines. Here’s Aprio’s tagline: “Passionate for what’s next.” That seems to say a lot. “Better three hours too soon, than one minute too late.” – William Shakespeare. Due to the normal tax season intense workload, and to allow me to completely focus on the tasks at hand, I am currently checking and responding to e-mail daily at 8:00 am, 1:00 pm and 5:30 pm CT. You & your email is important to me and at the scheduled times, I will respond. If you require urgent assistance, please contact my assistant (name and phone number) or you can email her at (he provided her email address). Even though you get this auto-response, rest assured that I do receive and am able to view the email you sent. Thank you for understanding this move to more efficiency and effectiveness. It helps me accomplish more and serve you better. It was a first for me. I had never received one like it. Of course, I had to ask the partner how this move toward winning the email battle was working for him. I’m sure most of you are fighting this same email overload challenge. I was absolutely not offended. I knew right away he had received my email and when he would get back to me. Simple as that. Don’t you hate it when you never hear anything at all (for two days or more)? You just wonder if they received your email or not. Don’t leave your clients wondering. This time of year you are counting your wins and losses. This busy season you have several, if not many, new clients. You probably give them more attention then they deserve. You also are keenly aware of the clients that have moved on to another accounting services provider. Some of those still have a sting about them. Those new clients are valuable. However, please don’t give your long-time, loyal accounts less attention because you are focusing on the new toy. Don’t let losses over-concern you. Keep moving forward and keep giving the best service possible. Continually, work to be the most knowledgeable and friendliest firm in your market. One of my clients told me some good news this morning. This season, three former, significant clients who left the firm for greener pastures (or so they thought) have returned. They left for various reasons but came back because they all realized “cheaper isn’t better” and “because I realized I need you”. How sweet it is!